Within Teamwork Projects, you can easily create tables within your notebooks so that you and your team can present text information and numerical data. You can add a table when you are creating or editing a notebook. 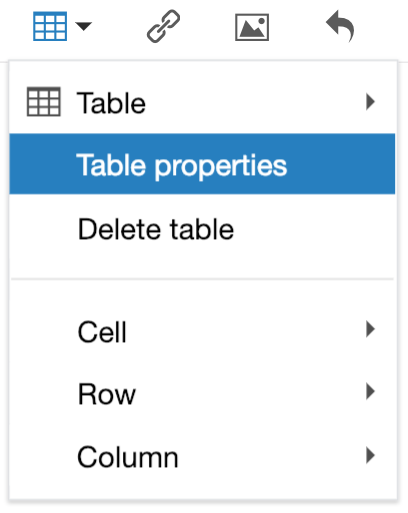 To add a table to one of your notebooks, select the table icon in the WYSIWYG editor of your notebook. Once you have selected the table icon you will be presented with a number of options. When you hover over Table, you can choose the size of the table you wish to create within your notebook. Click the last cell to add the table to the notebook. 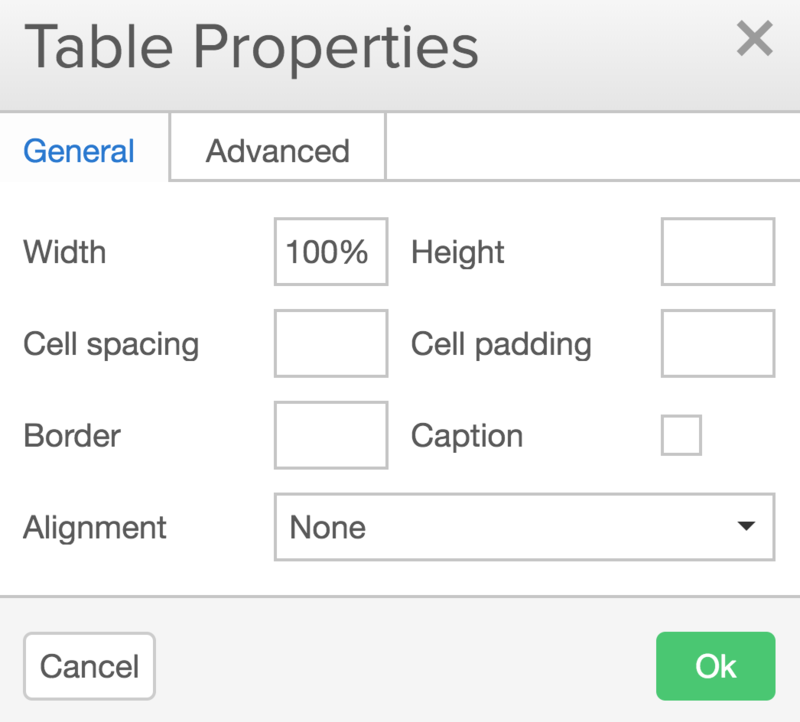 From the General tab you can adjust the width, cell spacing, border, height, cell padding, caption and alignment of your table. From the Advanced tab you can adjust the stye, border style, border colour and background colour of your table. 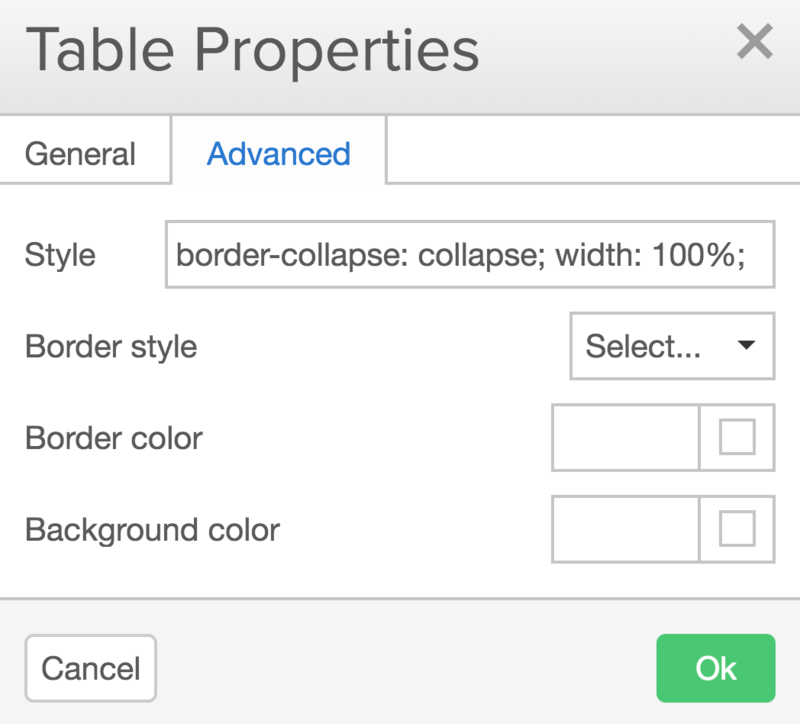 In order to change the border/background of your table to a particular color you can enter the associated hex color code into the relevant field. 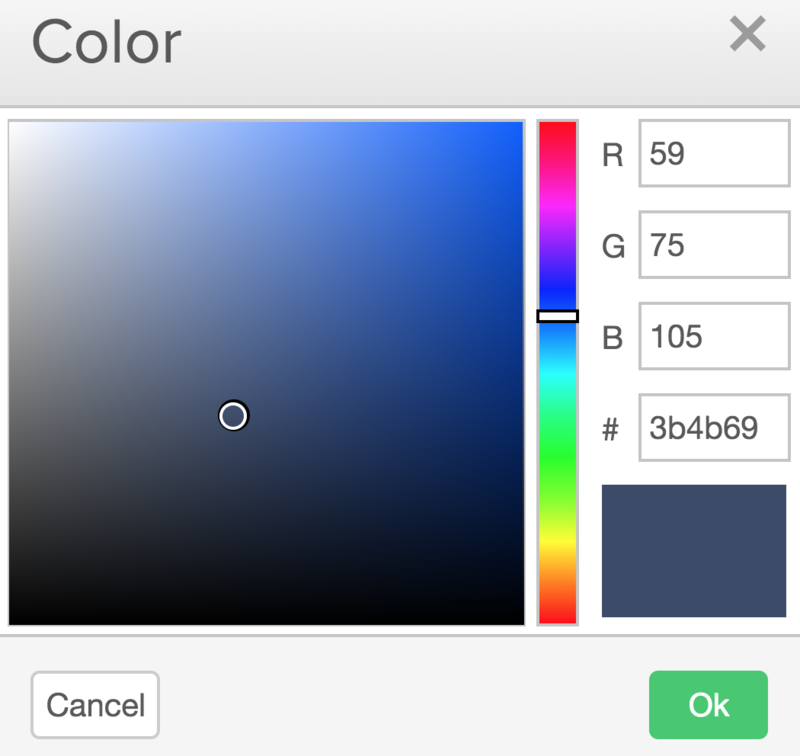 You can also select the boxes to the right of each color field to open the color picker. Here, you can use the palette, rgb colors, or hex code. This will then change the color of your table.